Imagine this. Your daughter, who has suffered serious spinal and brain problems all her 13 years, has an operation that is meant to change her life. But things don’t go well and your child, when she wakes to find her fragile body still terribly broken, loses the will to live. You watch her fade in front of you, but there’s nothing you can do to bring her back from the brink. And it’s killing you too. What do you do? 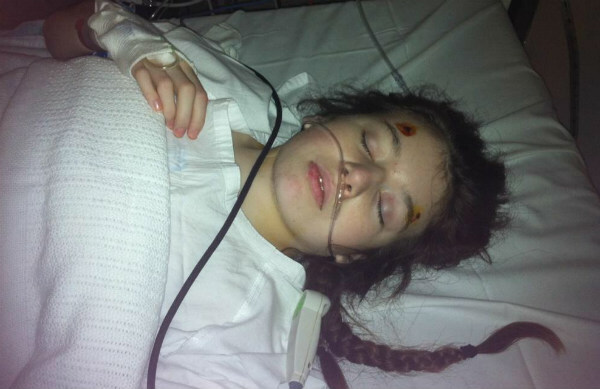 This is the terrible reality mum Stephanie Branch faced as her precious daughter, Victoria, lay forlorn in her hospital bed. After at least a dozen operations on her brain and spine over 13 years, her usually joyful, resilient daughter had lost the will to live. 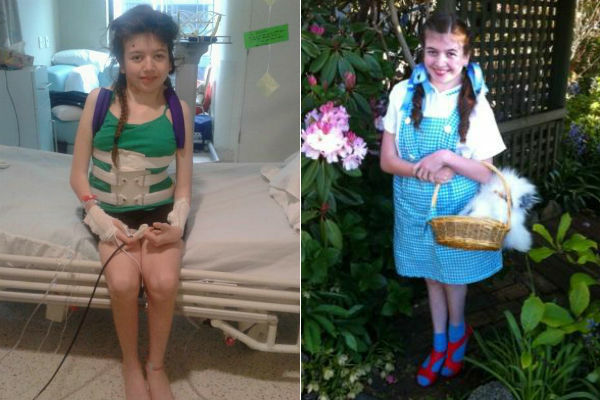 Victoria, born with congenital scoliosis, had just endured a marathon operation that was meant to repair her corkscrew spine. But complications during surgery meant doctors had actually spent most of the eight hours just trying to keep her alive. 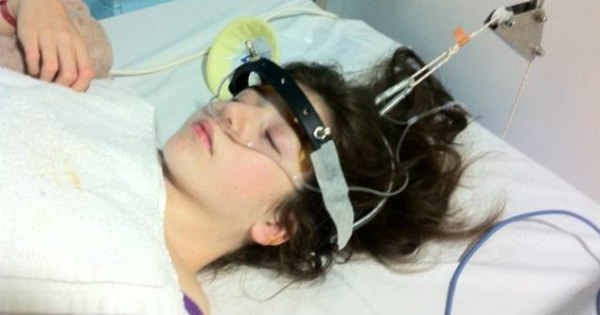 For seven weeks before the operation, Victoria had been in halo traction – a weighted metal crown bolted to her skull – to stretch out her ribs and relieve pressure on her crushed lungs. She had been desperately looking forward to getting out of the device after her operation at Melbourne’s Royal Children’s Hospital. So when she woke from her induced coma five days later to find it still attached – and with a torn esophagus, collapsed lung and shattered rib from the operation complications – she was devastated. Her parents were beside themselves – the Victoria they saw before them was unrecognisable. Then, they got their miracle: a surprise visitor from Tasmania – Victoria’s best friend, Tayla. 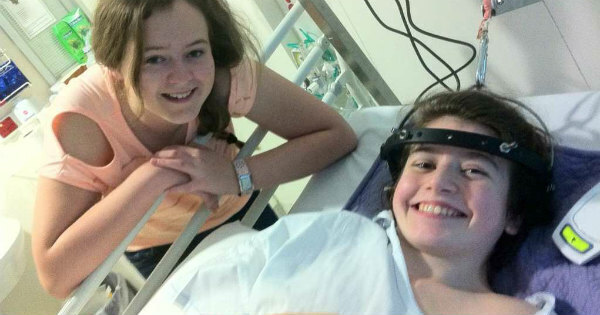 Tayla’s visit was arranged by charity TLC for Kids, after hospital staff alerted them to her plight. 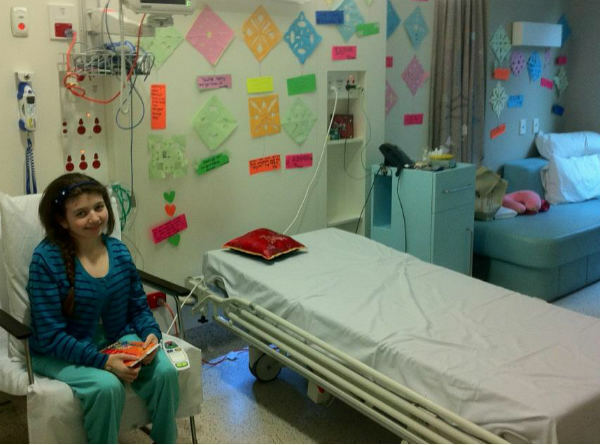 Tayla brought homemade cards from Victoria’s classmates, which decorated her room for the rest of her hospital stay. The charity’s Rapid TLC program brings fast help, relief and support to children in hospital and their families, when they need it most. Help can range from toys and colouring books to big-ticket household items, accommodation and more – the possibilities are endless. “It might not be a huge thing they do, in the sense of cost or being elaborate, but it’s huge for the person receiving it,” Stephanie says. Babyology is proud to be supporting TLC for Kids – which helps hospitals right across Australia through its Rapid TLC and Distraction Box programs – with our Christmas Care campaign. We have joined with generous sponsors to donate more than $37,000 of goods to this amazing charity. Products including shoes, toys, arts and crafts supplies, skincare goods, baby monitors, potties, wipes and baby carriers are being sent to the charity’s Melbourne-based warehouse and will be used to help countless families in coming months and years. Two days after Tayla’s visit, Victoria was ready to face the next round of surgery, and the operation was a success. She is now back at school, where she and Tayla are still inseparable. You can join our Christmas Care campaign by donating to TLC for Kids directly. Check out our previous posts on Rapid TLC and Distraction Boxes to find out more about this wonderful cause.